Please have a look around and enjoy learning about our Academy. 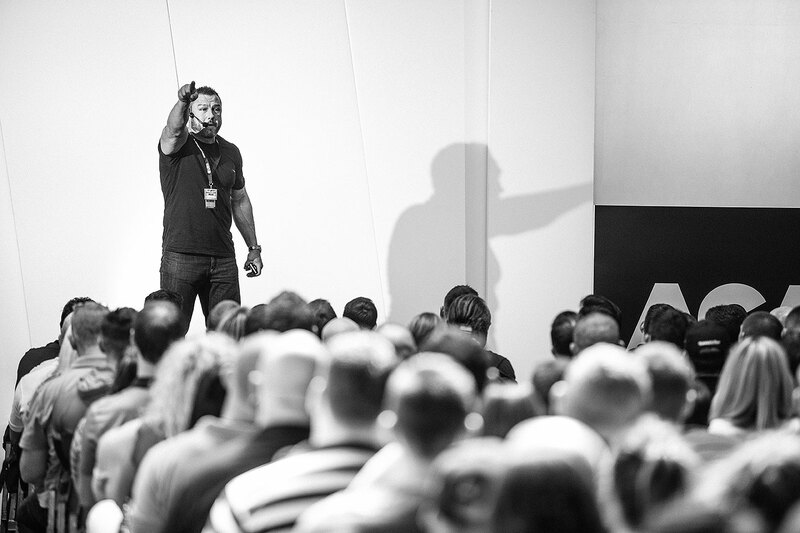 Phil travels the world each year presenting cutting-edge educational seminars and workshops to the fitness community. Click READ MORE to check out Phil’s current international schedule. Events sell out FAST. Sign up to receive information about the upcoming ACA courses, online educational events and seminars. Phil Learney has been a prominent figure in Strength and Conditioning fields for close to 20 years. In this time he has established and continues to build a reputation based around his intelligent, observational and results based coaching. Alongside Phil’s practical teachings his open minded, pertinent writing and speaking has resulted in a great deal of respect from his peers and the community that follows him. As a noted writer Phil has written extensively for the leading health and fitness magazines and publications across both the UK and the world. He currently writes a monthly column for Muscle & Fitness Magazine. He continues to educate, teaching mentorship programs and seminars nationwide with international dates being added in 2014. 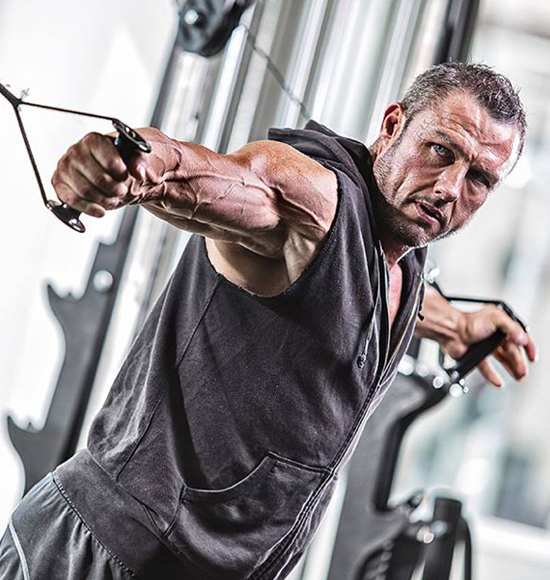 Phil resides and trains people from his base at Ultimate Performance in Mayfair, London. He has a diary that often reflects the high regard he is held in in the industry and a large amount of his clientele are fellow trainers and coaches. Always inspired by new and motivated people he will always do his utmost to fit people into his schedule. As are all the team at Ultimate Performance, Phil is what one might call a “serious personal trainer”, however this applies doubly to a man in as much demand as him…you must be serious about improving and you must listen to his advice. This is exactly what he tells to everyone who comes to him. He may say it with a smile but make no mistake, he means it…the proof of the pudding is in his track record, and if you listen to Phil your results are guaranteed. Phil is the consummate professional and knows his profession better than any individual I have come across. I have progressed in most areas of my training and it is thanks to Phil’s ideas, insights and suggestions that I feel I will be returning to the world of rugby following injury a better athlete and player. Thank you for all your hard work and effort Phil. I have been working with Phil for the last year and in that time his knowledge of nutrition and strength conditioning has helped propel me into the top 4 strength athletes in the world. Phil’s diet logs and support materials are invaluable in keeping me on track and allow me to maintain focus and closely monitor my nutrition whilst keeping up with a hectic training schedule. With Phil’s continued support I hope to progress further in my chosen sport. Phil has helped me retain my world title and set the world squat record in squat of 462.5 kg at 47 years of age, and the British and European bench record of 305kg. At all times and in a variety of situations I have seen Phil train and coach a wide range of clients for a variety of goals in many interesting and innovative ways. Phil’s clients all achieve their goals if they stick to his plan, and he is without doubt the best personal trainer and coach I know. Before meeting Phil I was extremely out of shape, looking back now I can’t believe how out of shape I was, I didn’t train or eat well. Phil held a Fat Loss Seminar at my gym – the information he presented turned everything I thought about dieting for fat loss on its head. I’d been firmly in the low calorie, low fat brigade. Everything Phil told us at that seminar made perfect sense and it was backed up with evidence of why it works. I made changes immediately – food types, meal frequency etc – and dropped 4lb in the first week. How did I lose 8 Stone in 15 months? Simple! I hired one of the most knowledgeable, respected and committed trainers I have ever met. A trainer equally dedicated to helping you achieve your goals and dreams as you are. Phil encouraged me to take up powerlifting and with less than a year in the sport, I won the WPC World Powerlifting Championships in 2011. Phil’s support has been invaluable and I cannot thank him enough. In June I won the UKBFF MuscleTalk Championships and qualified for the UKBFF British Finals where I competed in the best possible shape I could have hoped for. He is not only a great Coach but a fantastic man and I feel very lucky and blessed to have met him. I first met Phil back in 2005 and it was his words of wisdom that gave me the extra silver bullet needed for my last week prior to winning the 2005 Menshealth cover model competition. I have worked within the Health and Fitness industry for over 10 years, and across many countries, and I have come across no-one better in this field.